ADI Mobile Health Designers and Manufacturers of Custom Mobile Health Clinics, and the Premier Builder of Mobile Dental Clinics. Matthews Specialty Vehicles If it’s gotta be mobile…make it Matthews! 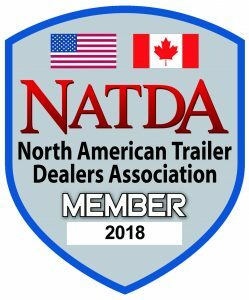 North American Trailer Dealers Association North American Trailer Dealers Association is the only professional business association in North America that serves the light and medium duty trailer dealers and brings them together as a unified team. Newell Coach – Take the good life with you If you have an urgent problem or question about your Newell, call 888-363-9355. They are available 24/7 and are happy to help! BBB – Better Business Bureau BBB’s mission is to be the leader in advancing marketplace trust. BBB sees trust as a function of two primary factors – integrity and performance. All BBB accredited businesses have agreed to live up to our Standards for Trust, a comprehensive set of best practices for how businesses should treat the public in a fair and honest manner. Grand Rapids Chamber of Commerce – The Grand Rapids Area Chamber is a champion for West Michigan business. We are driven by that mission, and we proudly serve as the collective voice for our business community. NAVC – The North American Veterinary Community is a nonprofit organization that provides world-class continuing professional development for the global veterinary healthcare community. We hope you’ll find the links below a valuable resource for all kinds of Recreational Vehicle related topics.